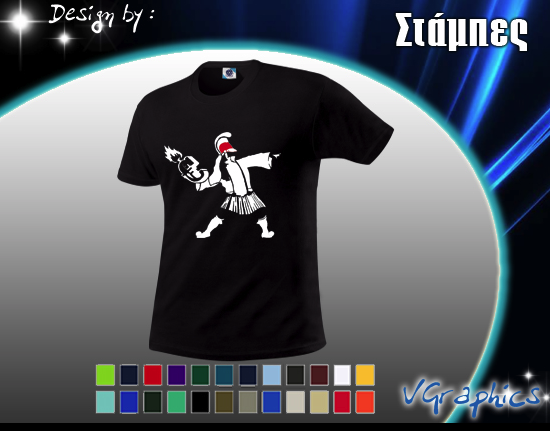 More "Greek Crisis Banksyfied part II - The Revolt" (or how here people like to call it... Tsolias-Molotof) t-shirts. I, in no way endorse any commercial use of the political message shared through my street art, by any means. Please feel free to copy and produce your own if you wish, but strictly not for commercial use.